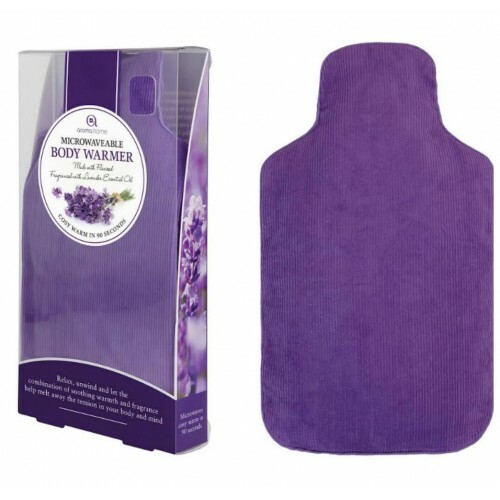 Microwaveable Body Warmer fragranced with lavender by Aroma Home. The natural way to keep warm, relax and unwind. Helps to relieve stress and soothe aches and pains. Filled with flaxseed fragranced with lavender essential oil. Microwaveable Body Warmer fragranced with lavender by Aroma Home Removable 100% cotton cover. pack size 16.5cm x 31.5cm X 4cm.